As many readers know, I am a big fan of spinning outfits even though I have tried most types of fishing. In British Columbia, spinning outfits are often labeled as equipment employed by newbies. This attitude seems to reflect the availability of good light spinning rods. It seems that there is an expectation for anglers to use a flyfishing rod when targeting smaller game species such as rainbow trout. The reality is that a substantial percentage of the angling community is not interested to flyfish, yet it is hard to find spinning rods in similar weight ratings. 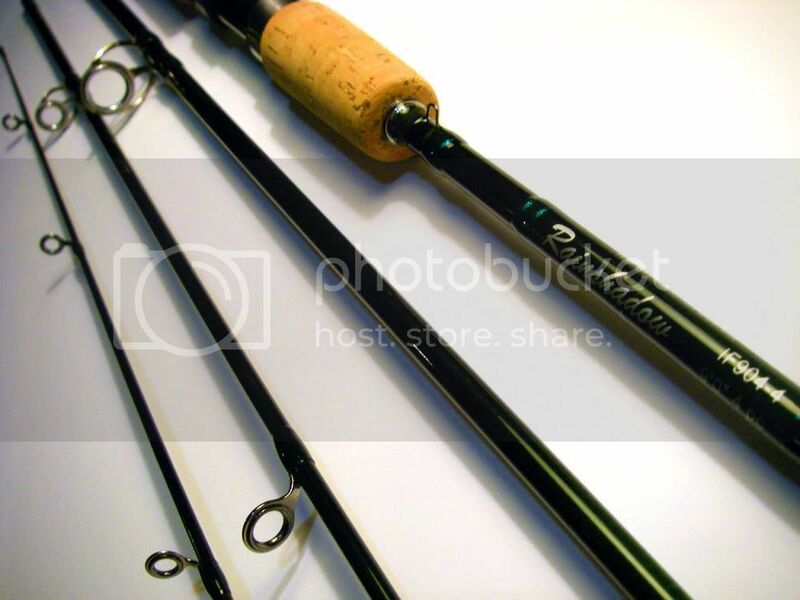 Recently I have been searching for a longer lightÂ spinning rod that would allow me to both spincast and float for trout, char and other species in the same weight range. My quest took me to one of our sponsors, Stryker Rods. Russ Goodwin, an experienced rod builder who resides in Surrey, picked up this idea by suggesting a 9′ spinning rod built from a 4 piece Rainshadow 4wt (IF904) blank. The end product looks fantastic! 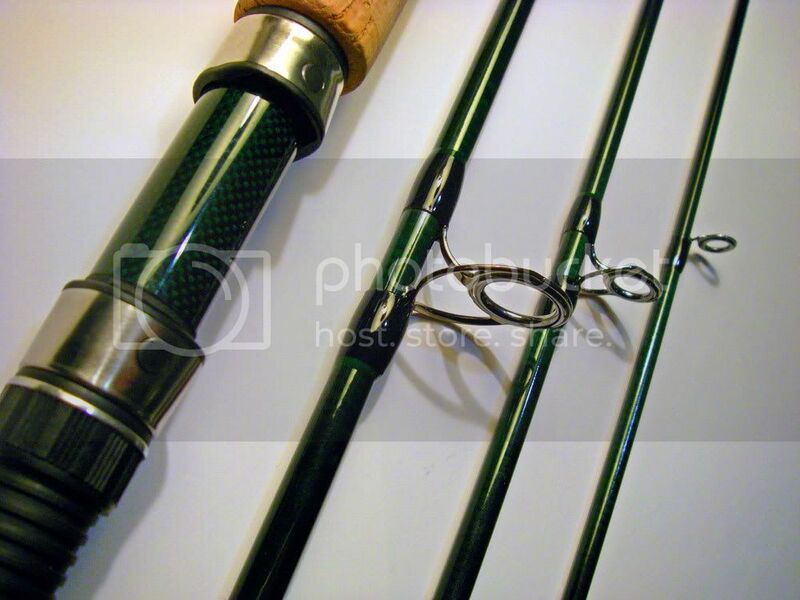 This four piece spinning rod is fitted with silver stainless steel castingÂ guides and zirconium insert, graphite casting reel seat and the finest cork one could find. Rated between 1 and 6lb test, it should be able to handle trout, char, carp and various coarse fish species. At 9 feet in length, it allows me to use a fixed float at a greater depth, which will be quite advantageous for Interior lake rainbow trout. Please stay tuned, I shall keep you updated on its performance once being tested. 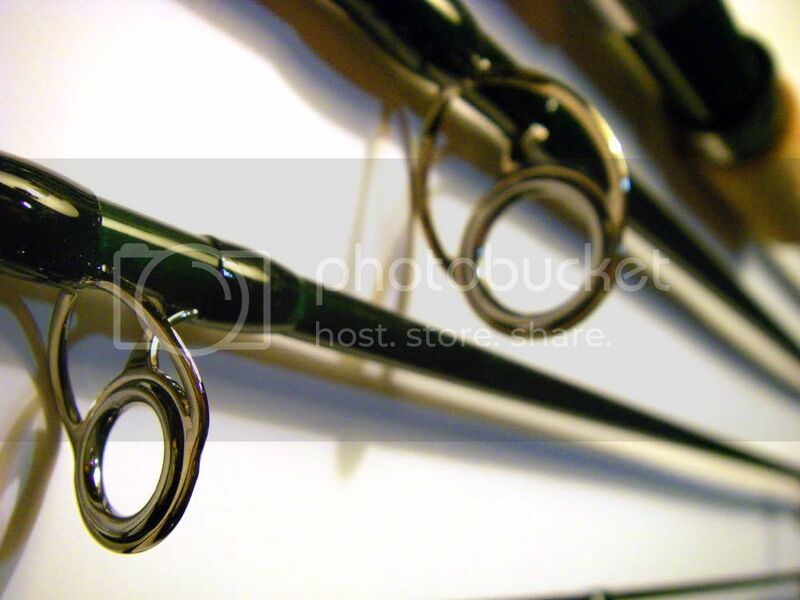 Stryker Rods produces custom casting and flyfishing rods with your preference of colours and components. If you are interested in having one built, you can reach Russ Goodwin at 1-877-585-6958. This entry was posted on Thursday, October 9th, 2008 at 9:04 pm	and is filed under Website news and updates. You can follow any responses to this entry through the RSS 2.0 feed. Both comments and pings are currently closed.